After a year of retooling its DC One Card program, DC officials are reconsidering the use of PIV-I and authentication of taxicab drivers, but they have added a school transit subsidy feature that all DC school children will use. 2011 saw a delay in the implementation of credit card readers and PIV-I identification options for taxicab drivers. 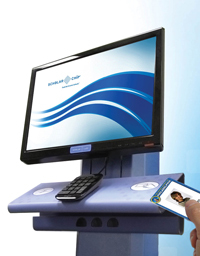 The program was intended to enable drivers to use the DC One Card to sign in and verify identity at each shift. “The taxi cab project started, went cold for several months and is now considered a potential project,” says Rob Mancini, chief technology officer for the District of Columbia. As a whole the district is reviewing whether or not PIV-I is the correct technology. While the taxi project was on hiatus, the DC One Card program underwent many changes in order to ensure that its applications add value. “Instead of a research and development exercise that created products with no demand, we put some discipline around the group,” says Mancini. Along with refocusing the group’s efforts, the office restructured the way it issues cards. Instead of having a large staff doing a lot of hands-on work, the office outsourced it’s printing to the Government Printing Office (GPO), says Mancini. DC One Card recipients then receive the card in the mail. “We tried to make the program more efficient,” says Mancini. As a result of outsourcing the printing of DC One Cards to the GPO, the CTO’s office realized some cost savings. The cost of student cards dropped 52 cents from $7.72 to $7.20 per card. Citizen cards dropped about 10% from $11.63 to $10.24 per card. Citizen cards are more expensive to produce because of the higher level of identity vetting required and the additional mailing costs involved. About 90,000 cards have been issued, says Howard Barrett, program manager of DC One Card and portfolio manager for planning and economic development in the Office of the Chief Technology Officer. Barrett, who took on the DC One Card management duties in June, is driving the direction of the credential, working to control costs and interacting with other agencies, Mancini says. In terms of the taxicab project, which originally called for drivers to have PIV-I credentials for authentication and meter activation, as well as the installation of credit card readers in cabs, this has meant a little scaling back. The Office of the Chief Technology Officer is questioning whether or not the PIV-I technology offers enough value for the cost, Barrett says. There would have to be many uses for the credential in order to reap the full benefits, he explains. “If we had multiple agencies we could support [with PIV-I] we’d think about it. It’s not required as a solution, so we’re not going to use it as a solution for taxicabs at this time,” says Barrett. In 2012, the CTO’s priority is to implement credit card readers in taxicabs. The District’s Office of Contract and Procurement released a request for proposal in the beginning of 2012 and will award a vendor contract in early summer. The hope is to have credit card point-of-sales devices in cabs by the fall of 2012. Barrett says it’s likely that not all cabs will have capability by then, but the system will have operational deployment. The District is one of the last large municipalities to add credit card capabilities. In 2013, they will reevaluate the ability to use PIV-I, which means any such functionality is unlikely to be realized until 2014. Although the taxicab project was delayed in 2011, another project made use of the DC One Card as a platform. This past year the Office of the Chief Technology Officer partnered with the District Department of Transportation to add the school transit subsidy program to the DC One Card. Mancini says the transportation department approached his office about adding this program, which is a four-way partnership between the CTO, transportation, the school system and the Metro. This initiative started as a one-school pilot program last April. “It was easy to work out the kinks,” says Barrett. The preparation for this pilot involved writing code that took about two to three months. Due to the success of the pilot, the program expanded to the seven secondary schools in fall 2011 and to all public high schools and middle schools at the end of 2011, with a mandate of all eligible students needing to use a DC One Card for transit subsidies starting on Jan. 1, 2012. The next step will be adding the city’s 60 to 70 charter schools to the program, which will cover the remaining 50% of the district’s students. Overman says the office will implement a three-school pilot in March or April 2012. Adding the charter schools to this program provides challenges in that each charter school is run individually and the department of transportation will have to bring these smaller, individually run systems into one larger system. “If we can get everything working, then definitely next fall (all schools will be live). Our goal is to have every single school in the district,” says Overman. The transportation department projects 20% savings in converting to the electronic transit subsidy program. Many charter schools also see potential uses for the One Card such as adding lunch programs, attendance and library usage applications to it. “It’s up to each individual school in how they use the card,” says Overman, adding that each school can work on what applications they’d like to add to realize further savings and efficiencies. “School transit is starting as a first piece of what we’d like to see,” says Overman. Just as Overman sees transit is the first step for schools, many see schools as the first step for the DC One Card. The sky can be the limit with these types of programs, as people imagine more and more applications and functions. But, as DC found with both taxicab and PIV-I additions, implementation and budgets can be the real challenge to rollout. What does DC’s move away from PIV-I mean? 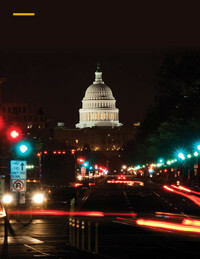 In 2009 Washington DC was committed to PIV-I. The district intended to issue credentials to first responders with plans to extend the program to city workers. In 2010 the agency announced a program that would issue PIV-I credentials to taxi drivers and even citizens to enable residents to ride the Metro, check out library books and access schools and recreation centers. Some of these uses cases are still moving forward, tens of thousands of cards have been issued, but none are PIV-I. The district didn’t see the use case for the technology, says Howard Barrett, program manager of DC One Card and Program Management Office and portfolio manager for planning and economic development in the Office of the Chief Technology Officer. This is going to be common as jurisdictions and corporations consider deployment of identity credentials, , says Salvatore D’Agostino, CEO at IDmachines. Outside of organizations that have a lot of interaction with the federal government, such as large defense contractors, PIV-I may not make sense, he says. As it stands now, PIV-I is expensive and deploying it for anything other than an enterprise application would be a stretch, D’Agostino says. “Where it goes wrong is when it depends on an edge use case, like taxi cab drivers,” he adds. “You can’t do it because of an edge case, you have to do it because of an enterprise case.